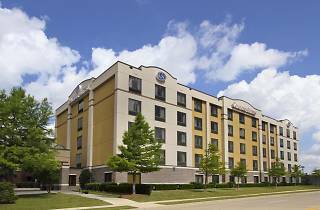 The Comfort Suites DFW N/Grapevine hotel is two miles away from Dallas-Fort Worth Airport and a 9-minute drive from Historic Downtown Grapevine. The rooms are non-smoking and feature a coffee maker, premium bedding, microwave, hair dryer and refrigerator. 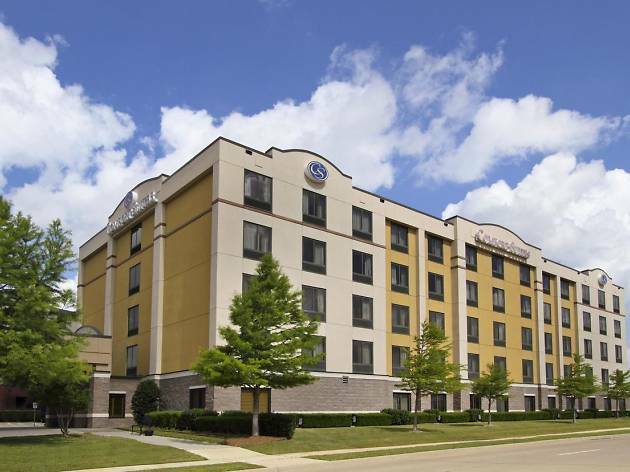 The hotel offers a business center, a fitness room, free breakfast, free weekday newspapers, guest laundry, an indoor hot tub and a seasonal outdoor swimming pool. Best of all, the hotel offers a free airport shuttle to and from DFW. Nearby attractions include Grapevine Mills Mall for some serious retail therapy, Lake Lewisville for picnics and resting in a natural setting, Southlake Town Square for its high-end boutiques and fine dining, Delaney Vineyards & Winery for some wine tasting and LEGOLAND Discovery Center for its ride-filled indoor playground.